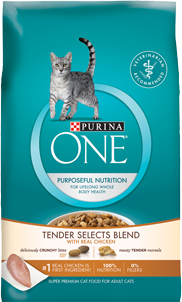 Request your free sample of Purina One Tender Selects Blend Cat Food. Your sample will arrive in approximately 8 weeks. No Kitty? Still a great item to request and donate to a local shelter!